Live Well Lake County is promoting the simple act of walking as a means to improve health. This movement is in response to the U.S. Surgeon General Dr. Vivek H. Murthy’s call to action at the National Park and Recreation conference in September 2015. His challenge focuses on the health benefits for people of all ages and stages of life walking at least 30 minutes each day. There are many benefits to walking 30 minutes every day. Walking can help to prevent and reduce the risk of chronic diseases, premature death and supports positive mental health. Vernon Hills Park District is excited to introduce GO VERNON HILLS to our community with the support of our local government partners. In addition to wanting your presence at GO VERNON HILLS events, step up and become a champion for this movement! Being a champion is very easy. Spread the word to others about joining the movement and become a walk leader. Our goal is to have a champion attend every GO Vernon Hills walk and possibly lead walks in your neighborhood. Please contact Cheryl Buhmann to become a champion! All residents and friends of Vernon Hills are encouraged to make a commitment to themselves to get moving for 30 minutes each day. 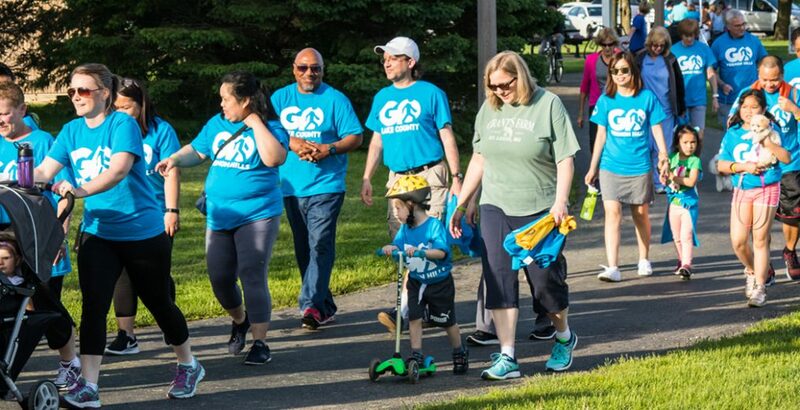 GO VERNON HILLS invites the community to join us as we walk to better health! We welcome your pets too! 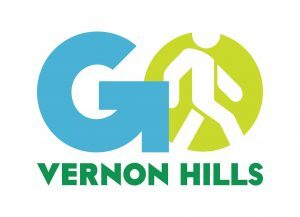 GO Vernon Hills, presented by the Vernon Hills Park District, is a community walking movement designed to promote community values of health and wellness through activities, education and community collaboration. The Vernon Hills Park District has partnered with the Lake County Health Department on its county wide initiative to improve the health of Lake County residents. Walking is a gentle, low-impact exercise that is easy, free and accessible to everyone.